TimberTrader News website provided by Net Maintain. TimberTrader News is a national marketing and promotional magazine. The major emphasis is on news, views, information and latest developments within the timber, hardware and building materials industry. The old website for this project contained numerous articles relating to the industry. Due to the technical information contained as many of these articles as possible needed to be included in a new website. A migration strategy was employed and this saw all the important material successfully included in a new modern design. 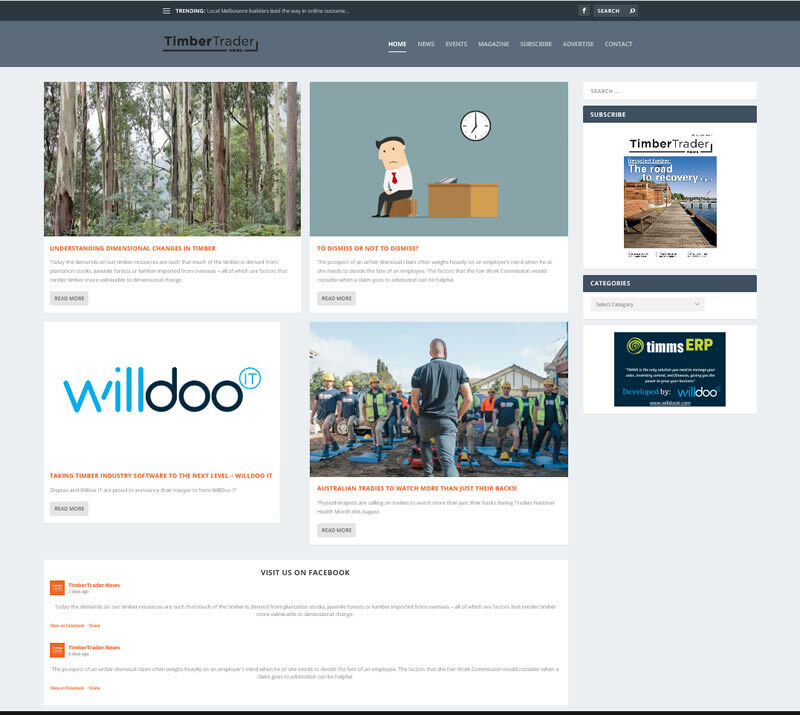 A number of additional features were also added to allow easy management by TimberTrader News staff. The website which is now managed by the owners can be visited here. New website to coincide with change of ownership. Import data from previous website for inclusion in new directory.